Bio7 1.7 for Windows Released! 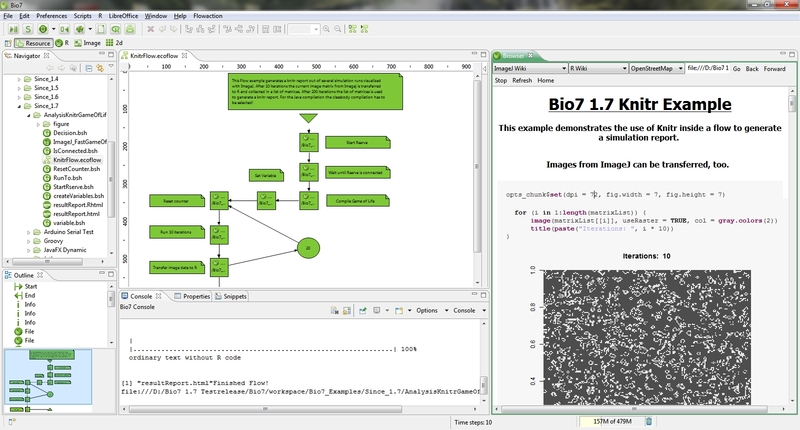 A new Windows version of Bio7 is available. 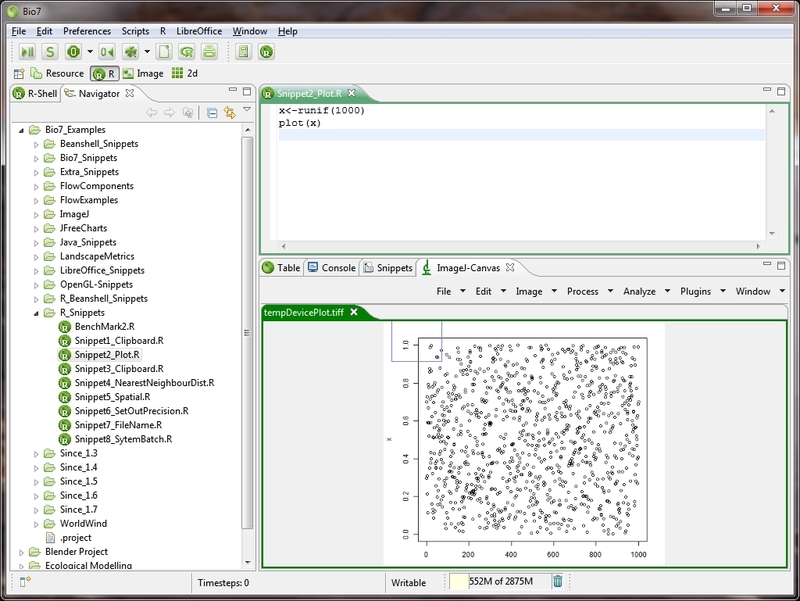 This version comes with a lot of new features and improvements for Java, R and ImageJ. One highlight is that you can now interpret Jython (Python) code with Bio7. In addition a new console implementation is available which offers access to a native shell, different Java interpreted languages, etc. 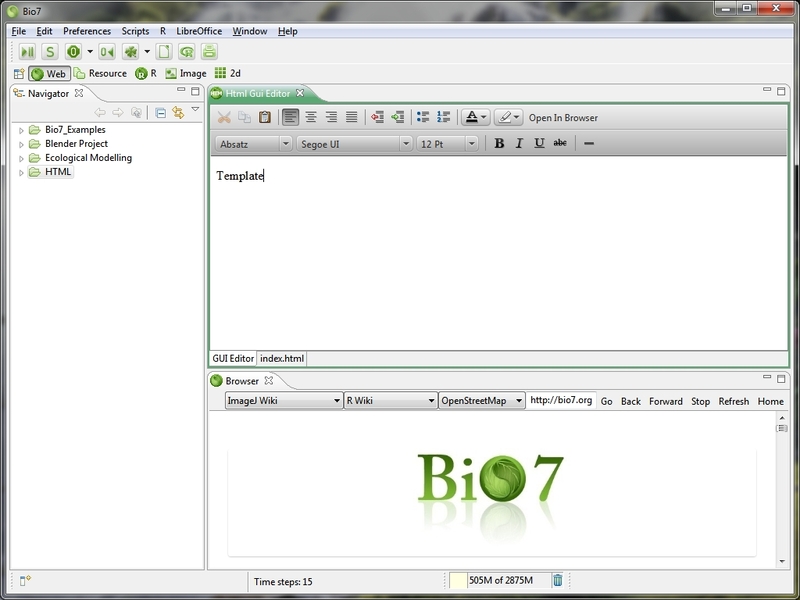 Below you find new videos about some new features of Bio7 1.7, a general feature overview and installation details. Custom views can now be created with ID’s for Custom views inside of Bio7. Added some new API methods (e.g. function to write to the new console). Rearranged and renamed some preferences for an improved overview. Added editor menus for the language specific preferences. Added preferences for Python, R and Blender to execute native R, Python, Blender Python scripts if enabled in the Bio7 preferences. Added default options for Python, Blender and R.
If a *.class is selected and a main method is available it can be executed with a new action in the context menu of the Navigator view. If Fullscreen is activated an info message appears in the view which is in Fullscreen mode. The main class of a Java project (which possible consists of multiple dependent subclasses) can be dragged in the Flow editor for execution. 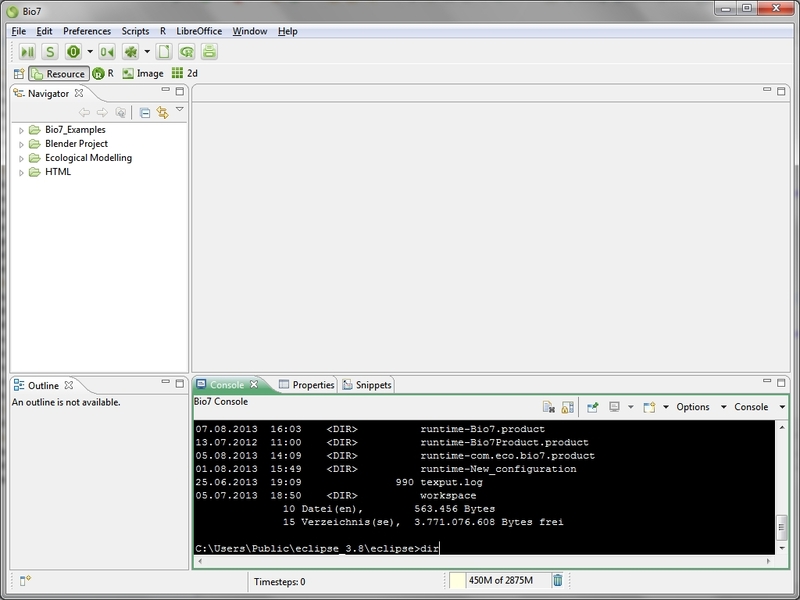 The Constructor of a Java file is executed after compilation if available. If a main method of a regular Java class is available (not extending the Model class of Bio7!) it will be called after the compilation and instantiated. Blender Python scripts can be executed if the native execution is enabled in the Bio7 preferences and the path to Blender has been specified in the preferences. New option in the Bio7 Rserve preferences to change the definition of the default plotting device. Experimental support to activate plots (Keys: Alt+a) in a blocking job as long as plots are opened (the R script for this functionality can be accessed and if necessary improved). Support for the interaction with commands (Windows) which require console commands (e.g. scan() – if the console requires input the textfield will be marked with a different color). 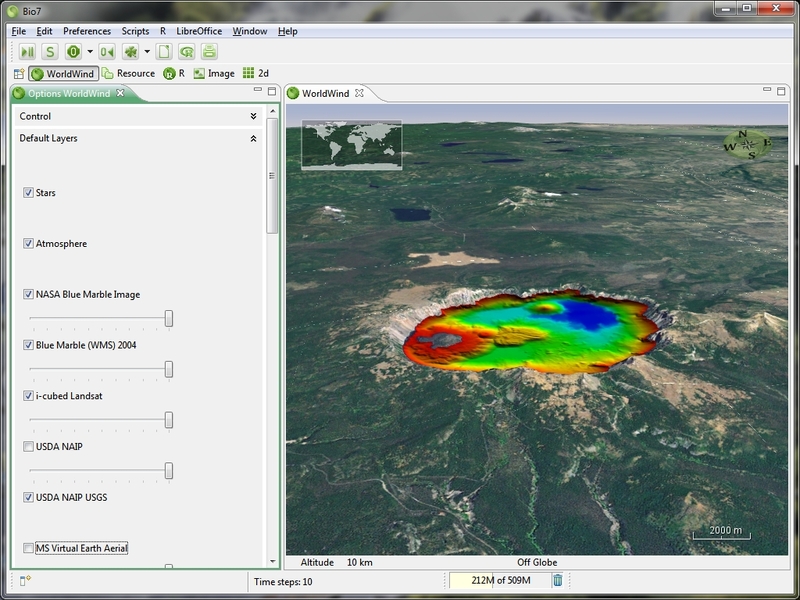 Faster „Image“ plot in the plot section of the R-Shell view. Added R package skeleton action in the context menu of the Navigator view to create R packages (with Rserve). Added R package built and install actions (with the native shell). Added native R access without the necessity to use Rserve. 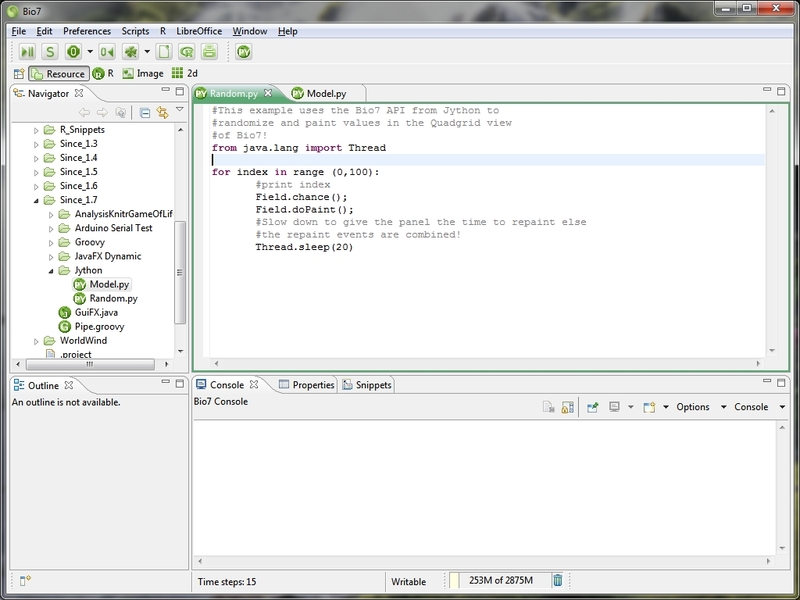 The editor, the shell and the Flow editor can be used with this new feature. 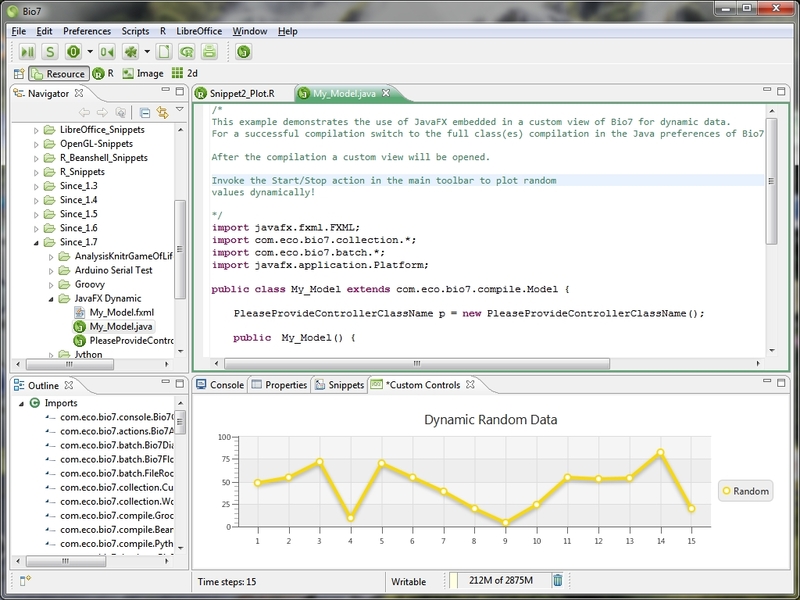 Added Drag and Drop *.Rdata file feature for the native R access. Added R and Rserve startup arguments in the Bio7 preferences. Added a submenu in the packages tab of the R-Shell view to refresh the view of available packages. If a plot command occurs the ImageJ-View will be opened with the plot as a default plotting device. Splitted the pixel selection transfer action into two different actions for a better usability. Improved the Particles transfer method. Now uses the default ImageJ options. Points panel is now updated when Reset field action etc. is pressed. Improved the warnings for the access of the WorldWind API (if the WorldWind view is not active). 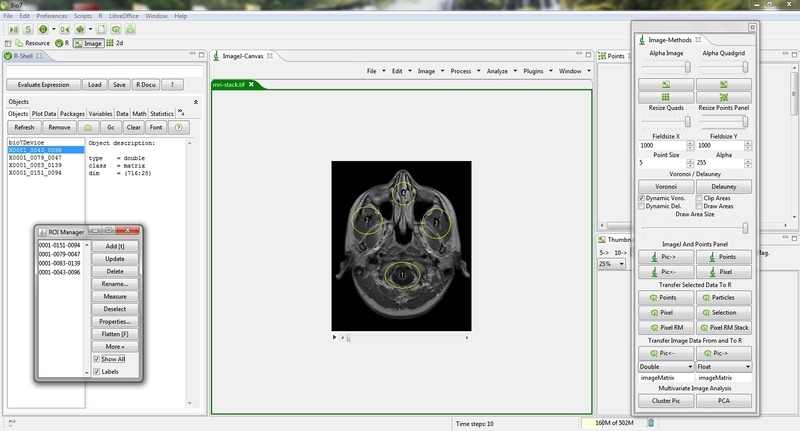 Added a function to capture an animation to an ImageJ stack in a Bio7 job. Added options to adjust the framerate and the amount of frames to be rendered. The installation of Bio7 is similar to the installation of the Eclipse environment. Simply decompress the downloaded *.zip file in a preferred location on your file system. After decompressing with a standard zip-tool (like WinZip, Win Rar) the typical file-structure of an Eclipse based application will be created. To start the application simply double click on the Bio7.exe (Windows) . 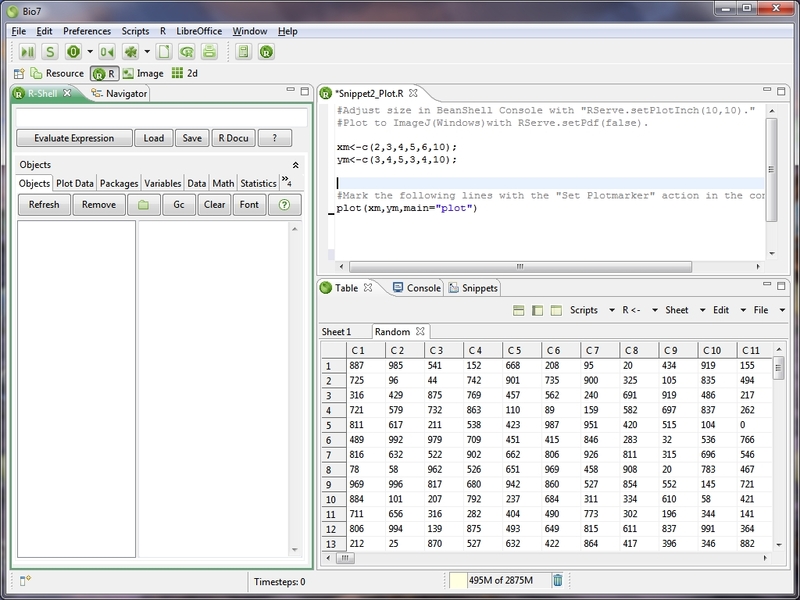 In Bio7 1.7 please install the R package rgdal which is needed for some import and export scripts and knitr to use the report features with R.
For further information please read the Bio7 documentation on the Bio7 website. It is recommended that your computer should have at least 2048 mb ram and a 1 ghz processor. 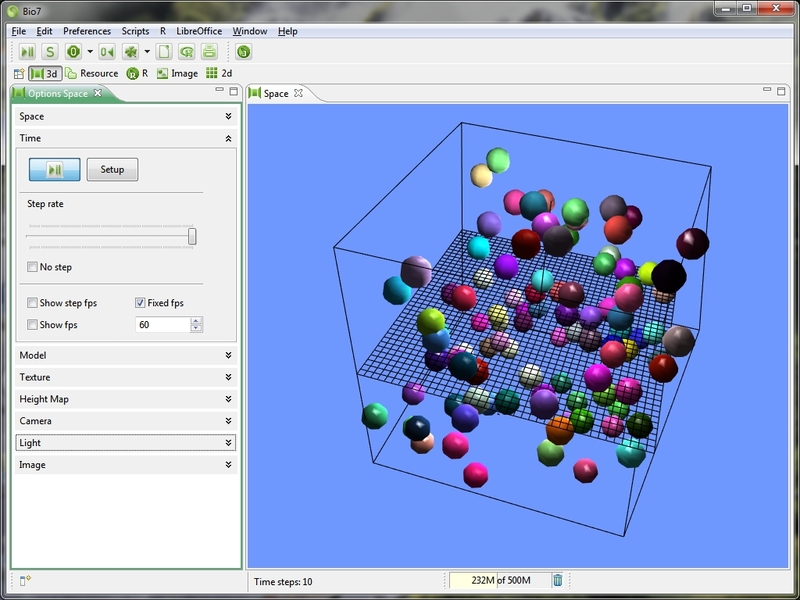 A 3d Graphics Card which is OpenGL enabled (only necessary for the “Spatial” view and the embedded “WorldWind” view. To use the LibreOffice feature of Bio7 an installation of OpenOffice (LibreOffice) >= 2.0 is required. The path to LibreOffice can be adjusted in the Bio7 preferences to the default path.